Flickering candles and soft melodic sounds filled the unseasonably warm October night last Tuesday. Supporters gathered at Akron Children’s Hospital for a night full of music, dance and reflection in honor of cancer awareness. 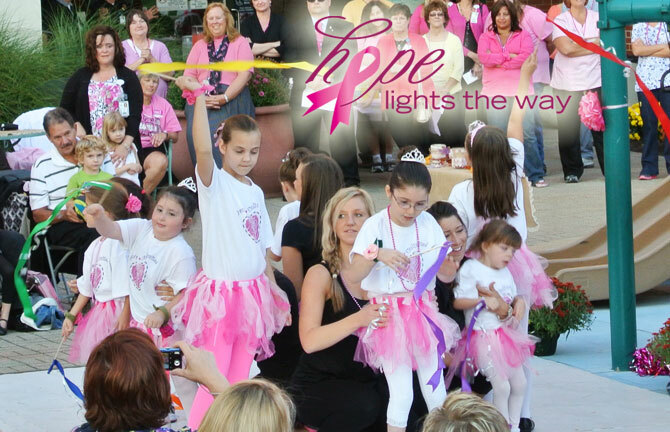 The Array team was grateful to again take part in Hope Lights the Way, a night which honors, celebrates and remembers those friends and loved ones who have been touched by the disease. Entertainment included a musical prelude courtesy of the Firestone High School Brass Quintet; a truly inspiring performance from Dance Unlimited, comprised of a handful of young dancers from the Akron Children’s Expressive Therapy Center; and a sky lantern lighting sendoff. For three years, Array has volunteered time and creative services in support of the committee, the hospital and our own personal connections to the disease. To our surprise, the event committee presented Array with an award for our participation and valued commitment to the event. We were deeply moved and grateful for the acknowledgement but most of all, are appreciative of the relationship we’ve built with the Akron Children’s team.